Replace PalindromeQ with palindromeQ (twenty times). This is due to the fact that PalindromeQ became a System` function (i.e., built in to Mathematica) in Version 10.3, after the book was published. Change Select[expr, predicate] to Select[expr, test]. Replace PalindromeQ with palindromeQ (thirty-two times). 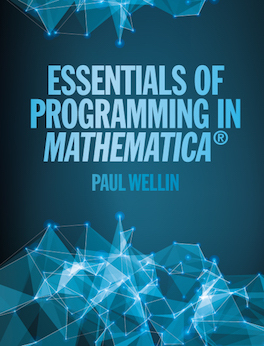 This is due to the fact that PalindromeQ became a System` function (i.e., built in to Mathematica) in Version 10.3, after the book was published. Change “…definition to checks the form…” to “…definition to check the form…”. Replace PalindromeQ with palindromeQ. This is due to the fact that PalindromeQ became a System` function (i.e., built in to Mathematica) in Version 10.3, after the book was published. Change "...and the two books by Weiss..." to "...and the article and book by Weiss..."